In a blog post shared today, Panic Inc. developer and co-founder Steven Frank said he downloaded the infected version of HandBrake, which led to the theft of much of the source code behind Panic's apps. 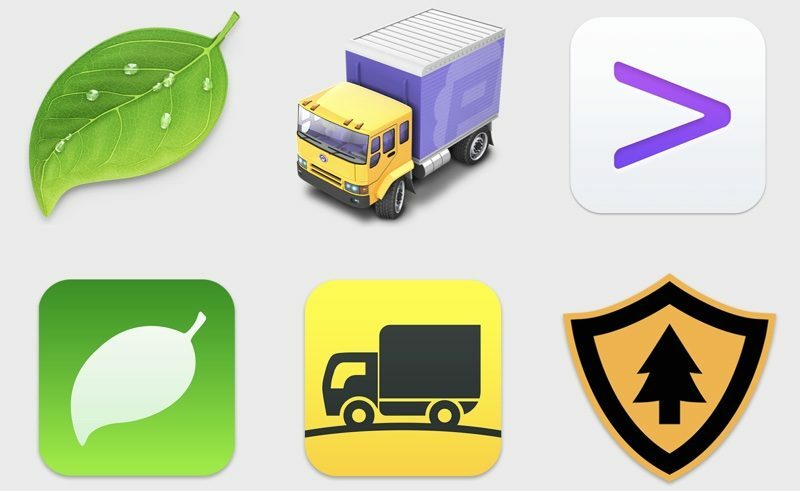 Panic offers several apps, including web editor Coda, FTP app Transmit, SSH client Prompt, and Firewatch, an adventure game. Hackers accessed Frank's computer through the infected HandBrake software and were able to obtain his usernames and passwords, including git credentials. Several source code repositories were cloned by the attackers, who have demanded "a large bitcoin ransom" to stop the release of the source code, a ransom Panic does not intend to pay. While Panic's source code has been stolen, the company says that a careful review of its logs indicates that the theft was the extent of the damage - the hacker did not access customer information or Panic Sync Data. - There's no indication any customer information was obtained by the attacker. - Furthermore, there's no indication Panic Sync data was accessed. - Finally, our web server was not compromised. According to Panic, the source code for the apps could potentially be used by hackers to create malware-infected builds of the company's apps, so users should be vigilant and download Panic apps only from the company's website or the Mac App Store. Panic has been in contact with both the FBI and Apple. Apple's security team is "standing by to quickly shut down any stolen/malware-infested versions" of Panic apps that are discovered, while the FBI is actively investigating the attack. Probably an idea to just give it away now. If it's free from their site it won't be downloaded elsewhere. Anyway they don't deserve this and they have my empathy and compassion for what they're going thru. Not that I wish anything bad on anyone but am I the only one wondering why he was downloading a utility like Handbrake onto a machine with the company source code. Seems like that was not the wisest move. If apps like Handbrake were allowed in the App Store this wouldn't have been a problem in the first place. There are many great applications out there that cannot be added to the app store due to Apple restrictions. In many cases it would not be possible to modify these applications accordingly. Yeah, that's the biggest problem, and it's why the Mac App Store hasn't caught on more than it has. Apple requires all MAS apps to enable sandboxing, which greatly limits what a Mac application can do, among other issues. Apple never should have applied the same policy to Mac App Store apps as they did to the iOS App Store. Macs are full-fledged general purpose computers with a different usage scenario than iOS devices; treating them both the same for app policy is short-sighted. I remember when there were a far greater variety of apps in the Mac App Store, then Apple tightened the policies and a bunch of app developers jumped ship, distributing directly instead. It's a shame because the store was a good idea, just poorly executed. Yikes. Maybe it's time to.......Panic!! I've enjoyed Coda in the past, but I'm curious why people continue to use it, when I think lots of competing IDEs seem to have lapped it? If you're going with paid apps then I think JetBrains has one of the best suites. As much as I've come to dislike Adobe, their Edge/Brackets is a nice free html/css/js lightweight editor without the creative cloud bloat. VS Code and Atom are great overall options getting better and better. So I know there are legitimate reasons to use Handbrake (I used it myself to create electronic versions of physical media I own) but I also know that there are probably more Handbrake users involved in piracy than not. I just say this as it would be ironic if that leads to piracy of Panic products. In any case, I'm a Coda owner (paid for) and user and I hope this doesn't end badly for him. I hope they will be alright. Depends on the country you are in! Well..... technically ripping DVDs you own that have anti-piracy software on it is also illegal.